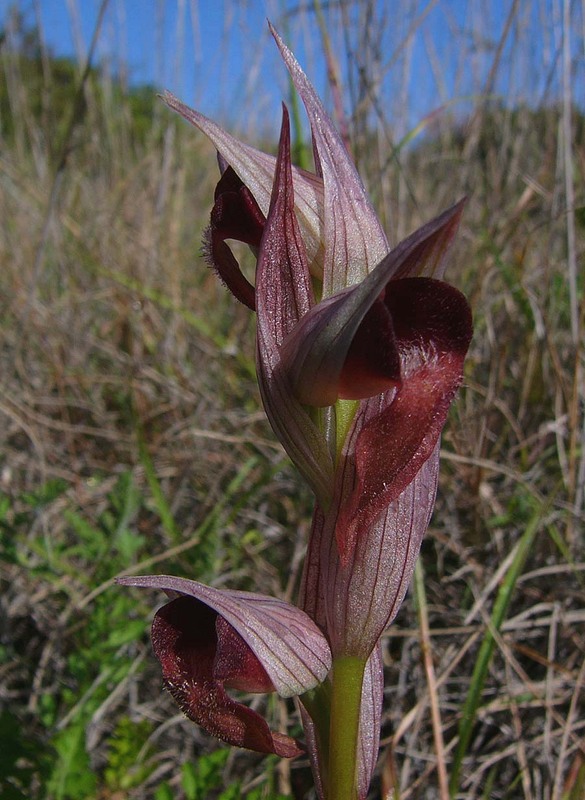 S. orientalis v cordigeroides was first described from Greece in 1968 by E. Nelson and is a member of the S. vomeracea group of Serapias. 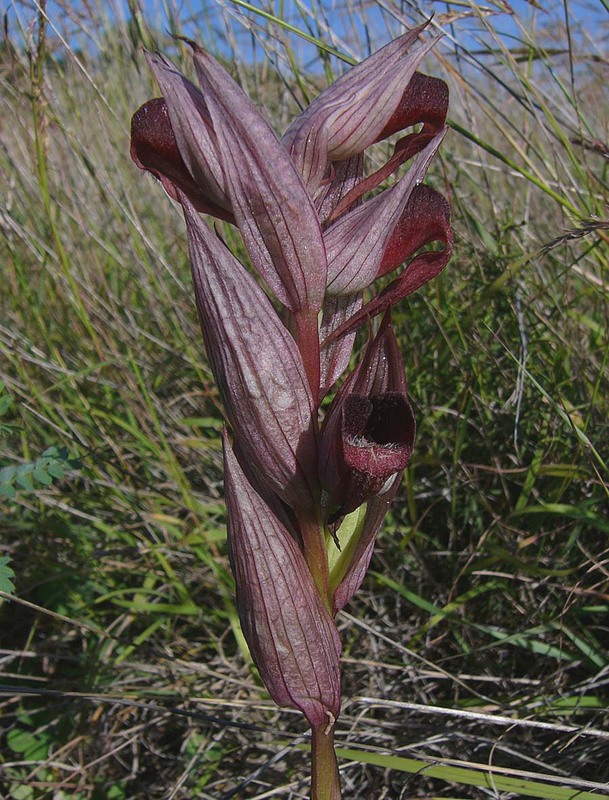 It is so named because of the dark, liver coloured flower that is highly reminiscent of that of Serapias cordigera. 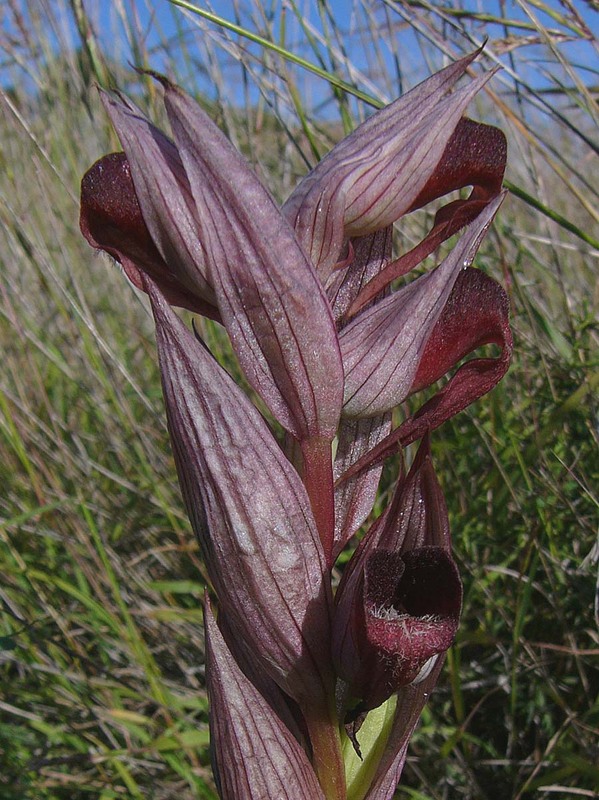 As with this latter species the deep colouration of the hypochile, epichile and inside of the hood contrasts strongly with the greyish external hood and bracts. The plant itself does not however share the same form and unlike the distinctive flower cluster at the top of the stem in S. cordigera, the flowers of S. orientalis, including variety cordigeroides, grow alternately up the stem. Its distribution is not known with any great certainty but is presently thought to be restricted to southern Greece, including Crete, though there have not as yet been any confirmed records of its presence in any of the island formations. S. orientalis v cordigeroides shares similar habitat preferences to those of the type species and it would seem probable therefore that like its close relative, it has a more widespread range through the Aegean and Dodecanese. 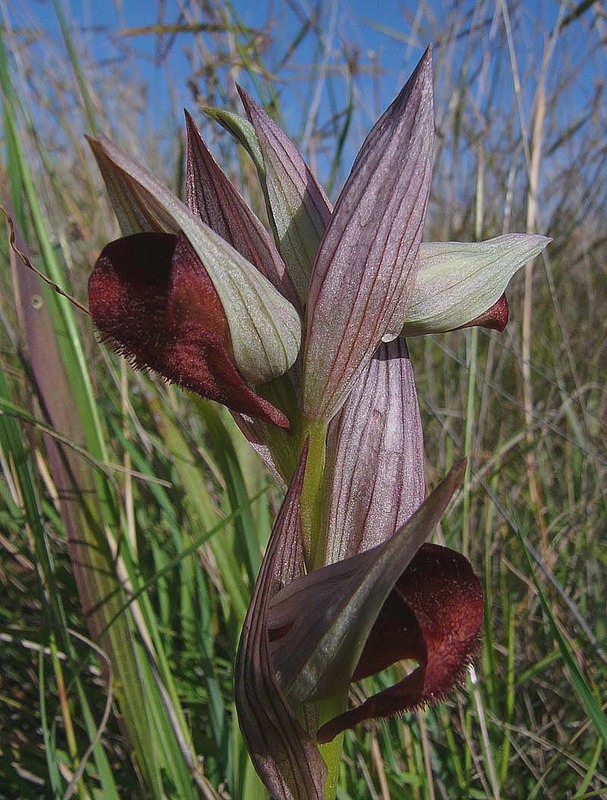 As has already been mentioned, its colouration serves to readily distinguish it from S. orientalis but it may also be differentiated by its considerably sturdier appearance. The flowers in particular look much more robust. a feature which is perhaps exaggerated by the deep colouration. The pictures are all from Crete and date from the middle of April.